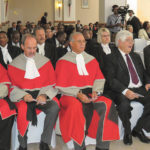 DUE to its independence from improper influence from other branches of government or private, partisan interests, the Namibian judiciary contributes in no small measure to national efforts to build a successful nation. The President of Namibia, Hage Geingob, during the official opening of the Legal year, said the choice to separate the judiciary from other branches of government ensured that robust and incorruptible processes, systems and institutions were established, which were all essential keys to sustained economic growth and the improvement of the social well being of all Namibians. “It is in this regard that I would like to reaffirm the government’s commitment to the promotion of an efficient and effective administration of justice. We have worked tirelessly to maintain and continually improve the manner in which justice is administered in Namibia. 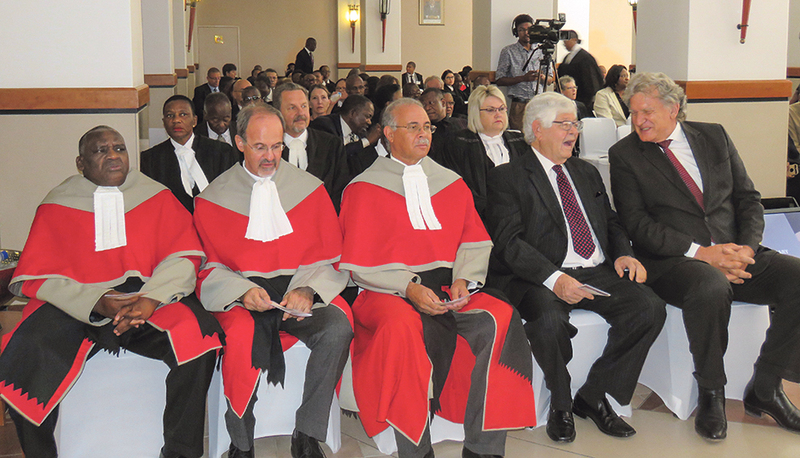 The courts are the protectors of our democratic way of life and human rights as guaranteed by the Namibian Constitution,” Geingob said. Geingob stressed the importance of choosing the rule of law over arbitrary use of governmental power, the choice to respect human rights over brutality and denial of freedoms and civil liberties. Chief Justice Peter Shivute on his part noted concern over the delay of criminal cases. This, according to him, is attributed to the fact that there is a lack of court rooms and lawyer’s diaries that are fully booked, amongst other reasons. “This year alone, already six cases were postponed in the high court, not because the judges were not ready, but because legal practitioners who had confirmed availability previously were not ready for one or the other reason. To place the problem in context, it takes approximately six or eight months for an aborted trial to recommence,” Shivute said. In some cases, Shivute said lawyers were not in good standing with the law society of Namibia. The Chief Justice further took notice of the fact that inadequate facilities at the psychiatric ward do not allow for proper evaluation of accused persons’ fitness for trial. At the moment, only 16 of 86 beds are dedicated to the suspects referred by courts. Shivute maintained that the judiciary currently suffers a shortfall of a Chief Magistrate at the Magistrate’s commission.